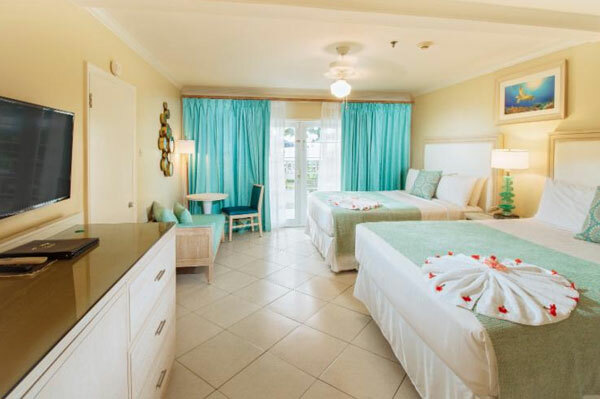 Family-friendly Bay Gardens Beach Resort & Spa in St. Lucia is already receiving accolades from guests for the major investment in renovations to the 77-room marquis hotel. The locally owned and operated resort now has a fresh, modern and functional look with the upgrades to many of its beachfront and pool view rooms, and the management team has redoubled its commitment to enhancing and building on its 4-star status. Included in each room’s refurbishment are comfortable furniture and fittings in pastel colors (turquoise, lagoon, capri and rose oak) as well as new Wi-Fi-enabled Samsung and LG smart TVs. New stainless steel kitchen appliances have also been installed in the one-bedroom beachfront suites. Destang explained that guests will not experience any construction inconveniences during the ongoing refurbishment. “Keeping the resort fresh and up-to-date is a regular part of business operations at Bay Gardens,” he stated. Sixteen beachfront and 14 pool view rooms have already been upgraded, and another 16 rooms will be refurbished before the end of the year. Go to www.baygardensresorts.com for more.